With Apple’s iMac Pro shipping this week, it’s only right that their video editing suite gets a much anticipated update today. 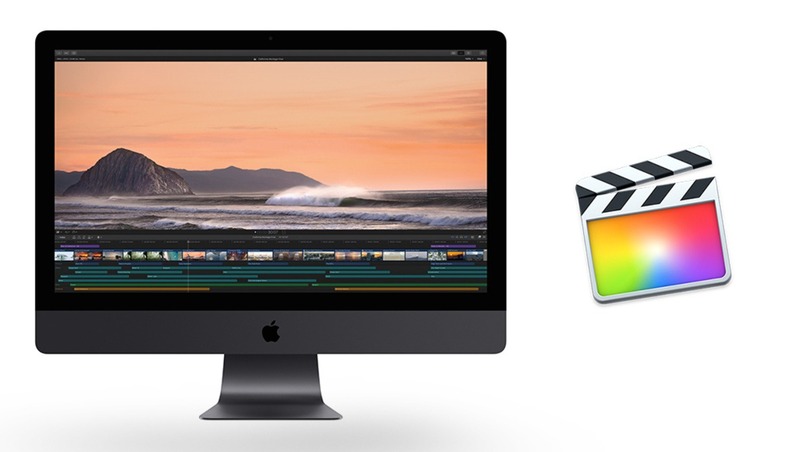 Final Cut Pro X is growing up, and it’s ready for the future. So what’s new in version 10.4? Well, the most notable update is the inclusion of real VR capabilities. On top of that, I’m excited about fine-tuned color control, and general future proofing. Adobe’s gotten a head start on this, but Apple’s Final Cut Pro X, Motion, and Compressor will all be able to deal with 360 videos now. The new system will work with the HTC Vive headset, using Steam’s software solutions to power it all. 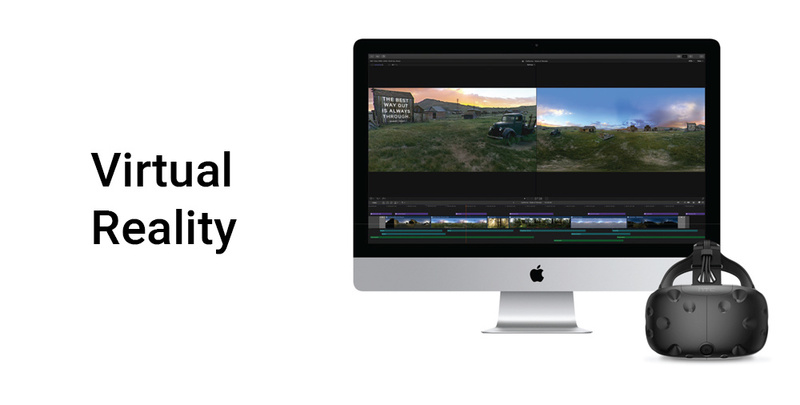 You’ll be able to edit, playback, and create graphics for 360 videos in both Final Cut and Motion. This all lines up with Adobe’s most recent offerings in October. For graphics in Motion, we’ll have the usual host of effects, and both 2D and 3D text options that will resize automatically in your VR scene. These can be keyframed (including position) too. In a nice touch, you’ll be able to edit these titles in Final Cut Pro X. Compressor will be able to make use of all this too, exporting equirectangular formatted 360 videos. These can be monoscopic or stereoscopic. Nobody was ever comparing Final Cut Pro X to the likes of Davinci Resolve. However, Apple’s efforts have not been overly concrete in the past. The new iteration fixes this. First, they’ve given Final Cut full support of custom LUTs. This way you can add any 3D LUT you please. This will be seriously handy for HDR workflows that can be smoothed over with some pre-production and a custom LUT (that you also use on the monitor while recording). What’s also cool is that when footage comes in, even the Canon C200’s RAW Light format will automatically have appropriate LUTs applied to make editing easier. This also applies to RED footage and their IPP2. Then, we’re getting a more complete suite of color controls. Like Premiere Pro, there’s an entire pane dedicated to color. A nice addition is a preference of which controls are at the forefront. We’ve also got keyboard shortcuts so that you can quickly grade while going from clip to clip; something that you might buy a physical dial or switch for. 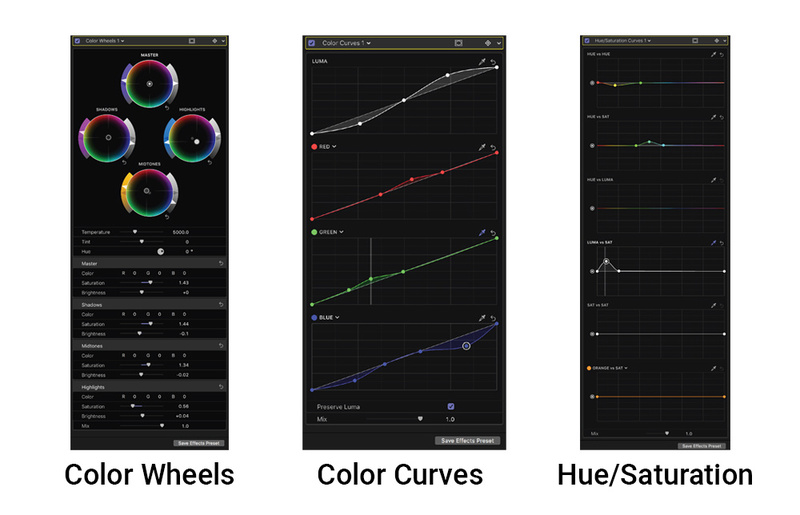 Included in the update is a comprehensive Color Wheel panel. I’m a fan of how the wheel changes color when you drag it, something Adobe’s been getting right with their UI too. Then we have Curves, and Hue/Saturation. With the latter, we’ll be able to selectively hone in on color to really fine tune a look. The iMac was the first consumer computer to include a wide gamut display, supporting the DCI-P3 color space. Now the iPhone X, iPhone 8, and basically any display worth its salt can reach these specs. 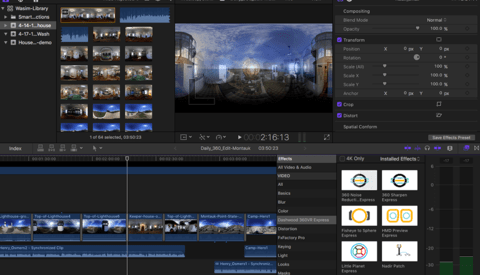 Final Cut Pro X can now deliver P3 D65 PQ, Rec. 2020 Hybrid-Log-Gamma/PQ, and the industry favorite HDR10. It’s safe to say that you’ll be more than able to deliver HDR content as more clients demand it. Rec. 2100 isn’t included on this list, but honestly, I can’t imagine anybody’s asking for delivery in that format; At that rate, you’d probably send raw footage and the project file. What I’m loving is that Apple is creating a reassuring system for this too, and backing it up by using the MXF format. Since it’s such a broadcasting staple, production companies that will need to deliver to TV stations in the future shouldn’t find any issues. You’ll be delivering a 10-bit, ProRes, HDR video. BBC News is going to love this because BBC's been part of the standard creation of Hybrid-Log-Gamma. If that’s not enough bells and whistles then there’s just no pleasing you. Getting past the major features, here's what we else have to look forward to. If I'm honest I find these updates to be fundamentally important to Apple's goal here. It's all about tying off loose ends, and future-proofing the system. The latest iPhone and iPad shoot and playback HEVC, as well as Apple’s Photos desktop app. So it’s a no brainer that Final Cut Pro X would catch up. With Apple getting on board with everything they’ve got, it’s really reassuring for fans of the HEVC codec. Smaller progressions like this are exactly what will change the landscape of how we watch video content, and in the greater scheme of things, it’s only right that Apple steps up to the plate on this one. There’s no point in working with Final Cut’s new HDR and VR workflows if you can’t share it easily between machines and other editors. As such XML 1.7 will allow for these newer features to be translated correctly via XML. It will also be able to deal with Apple’s updated color grading tools. Final Cut Pro X can now access shared storage from the NFS protocol. I’m not sure this is at the level that Avid Media Composer users are used to, but I’m sure it will help smooth over larger edits that need a room full of editors. If anybody’s a big fan of Logic Pro, then this is the update for you. Final Cut Pro X will allow these plugins to go full screen, which surely can’t hurt. If all goes to plan, you’ll never need to open up Logic Pro during an edit. 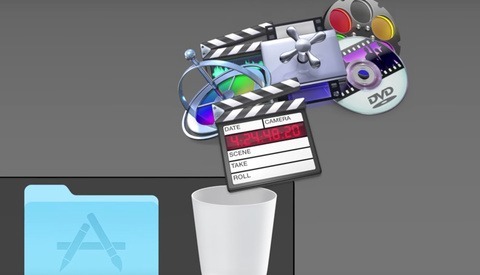 Previously you could send edits from iMovie into Final Cut Pro X, on Mac OS. Now though, you can use iMovie on your iPhone or iPad. I’d suspect that this is a more elegant solution than Adobe’s offering with “Premiere Clip.” Since iMovie has been a perfectly functioning app on iOS for quite a while, it’s safe to assume everything should work smoothly. I could see this feature being handy for producers or journalists, who lack the skills but have the option to pass on the edit to a professional in the future. 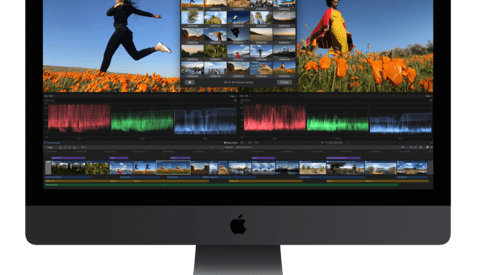 The iMac Pro is able to play back 8K, ProRes 4444 footage from a RED camera without a hitch. In fact, you can load a color grade on top and it will still play in full quality. Obviously, you won’t need a $5,000 machine, when a regular MacBook should have all the power you need for less insane resolutions. For example, the Metal rendering system is working behind the scenes to create Apple’s “Optical Flow” effect. Like Twixtor, or Adobe’s version, this will slow down footage even if the frames aren’t necessarily there, filling in the gaps. I expect it to be plenty fast when it’s got proper GPU support underneath. As I said, the iMac Pro has begun shipping out to eager customers this week. If all goes to plan, Apple is on the home straight to becoming the company of choice for two major groups: dabbling iMovie editors who want to take up a level, and professionals who have been reluctant until these features became available. Final Cut Pro X is available right now in the Mac App Store for $299. Motion and Compressor are $49.99 each. This is obviously a free upgrade for any current users. Documentary Film Explains Why Apple Killed FCP7 - But Will It Be Anything More Than a Promo for Final Cut X? I bought the original and now I have had 25 updates. To do quick edits, FCPX always seems to be quicker than Premiere or Resolve. I love these updates, it will get better and better! "...dabbling iMovie editors who want to take up a level..."
Right, people who have been dilly-dallying on iMovie on an iPhone are going to plunk down for an iMac Pro and FCP. "...and professionals who have been reluctant until these features became available..."